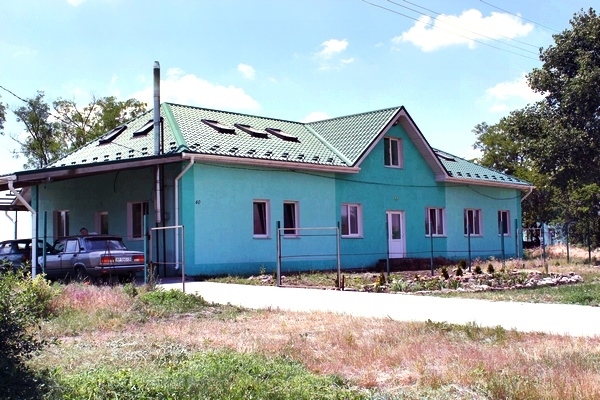 The newspaper Pulse of the Community (Rozdol vicinity of the Mykhailivskyi district of Zaporizka oblast) began operating not so long ago. For each issue, we try to find a unique and interesting topic to introduce to you, dear readers. We aim to bring to the attention of all residents not only official information, but also to talk about the lives of those people who have been for so many years "living next door". The heroes of our articles are ordinary postmen, retirees, teachers, doctors, farmers, students, or pupils. Why is it important to talk about them? Because these people really create the history of our area. Every life story is special, and their contributions to the development of our community are invaluable. 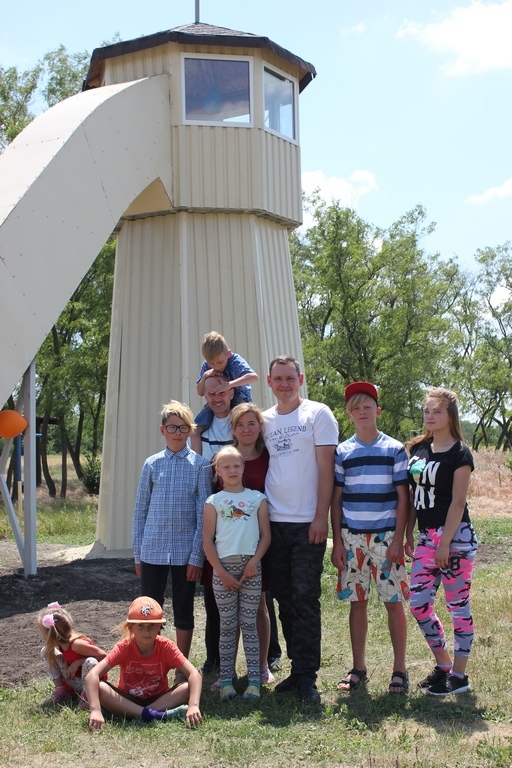 Having learned that there is a family-type foster home with an American volunteer who cares about children, we visited the small but very picturesque village Ukrainka in the territory of Lyubymivka village council. Curious about a man who flew from America to our area and has been helping our children for four years, we decided to visit. We met a nice woman named Yulia Pavlova, an employee of charitable foundation Happy Child and a foster mother, who along with husband Albert Pavlov, the foundation director, lives in this house with her biological and foster children. In 2016, Julia drastically changed her life because she and her children came to Ukrainka "just volunteering", as she put it. She came once, twice, and after a third time, she stayed permanently with a clear understanding that she also wanted to become an adoptive mother and to have fun with foster children. "Whereas in times past, preference was given to boarding schools and traditional orphanages, now benefits are given to raising children in a family," says Yulia. "Among children without parents, hardly any don't want to find a warm family home after a difficult life. In all the institutions where these children are, they are deprived of stable relationships, when there is someone to trust for guidance. For example, Albert and I have two and three biological and five foster children. There are two other foster families in the Children's Village. In all, there are about 30 children and adult guardians. 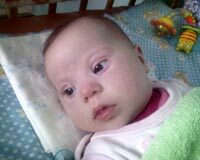 In September, we are expecting another foster mother, an older woman with ten foster children." While we were talking with Yulia, the door of the house opened and a man came out. As it turned out, this is the American volunteer, Denver Braughler. He's a tall, lean man with nice eyes, a wide open smile, and an impeccable American accent. We explained that we are talking about him and have a great desire to communicate personally. I want to say that Denver speaks Ukrainian only a little bit, but understood me well enough — a paradox. How sad that we cannot add audio of our conversation, I listened as Denver spoke about himself. The following word are from him. 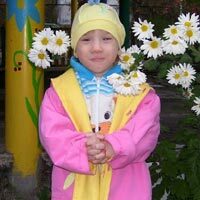 Years ago, I watched the BBC documentary "The Forgotten Children of Ukraine" about the orphans who were poorly cared for in government institutions. [This film was created over six months and aired on June 21, 2012. 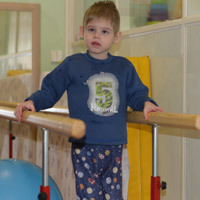 The producers observed the lives of children in Ukrainian boarding schools.] The film deeply impressed me and I wanted to help Ukrainian orphans. I searched on the internet and found the English version of the Happy Child website. 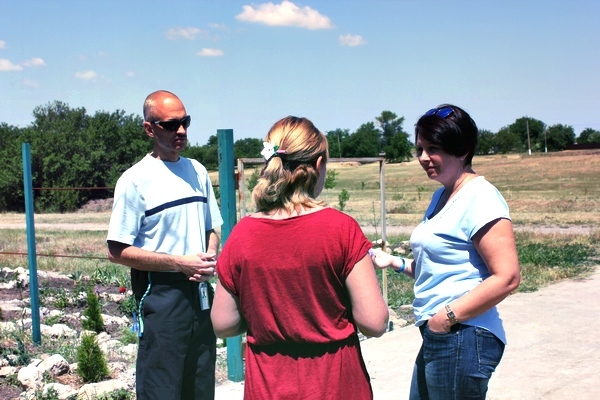 At first I helped from afar, but I felt compelled to visit Ukraine to serve in person. 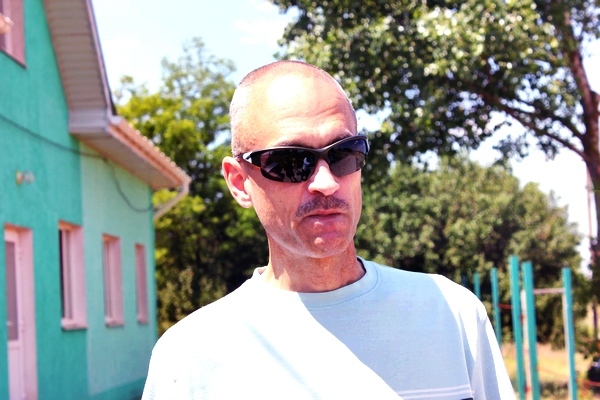 I came to Ukraine in August 2015 to volunteer, and have returned for my fourth summer here. 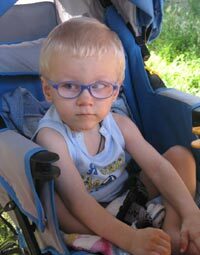 — Denver, what did you do in America and how did your American family react to your trip to Ukraine? - In America I worked as a computer programmer. I have five children; however, I am divorced. My children are already adults, so the trip here was not a problem. My dream is to find a nice Ukrainian woman, with whom I can create a big, happy family. — What are you doing now in Ukrainka? How do you help foster families? 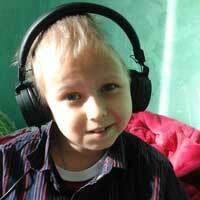 — What is your overall impression of Ukraine - is the state helping these children and families enough? - I really cannot answer this question, because I'm not really familiar with this topic. I do not have the right to comment. I come here only for the sake of the children, to help them, to teach language, music, or something else. I do not get into politics or policies. Despite the language barrier, Denver and I understood each other enough. After the conversation, we were invited to an interesting object which opened that day. In front of us was a tall building, the so-called "Lighthouse of Dreams" as the children and parents called the sliding board in the form of a lighthouse. Yulia and Albert said that they dreamed it up and became the winners of the annual social project competition "We are this city" held by Zaporizhstal. 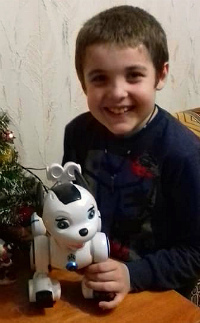 With this grant of 59,000 hryvnia ($2250 USD), they realized their dream. 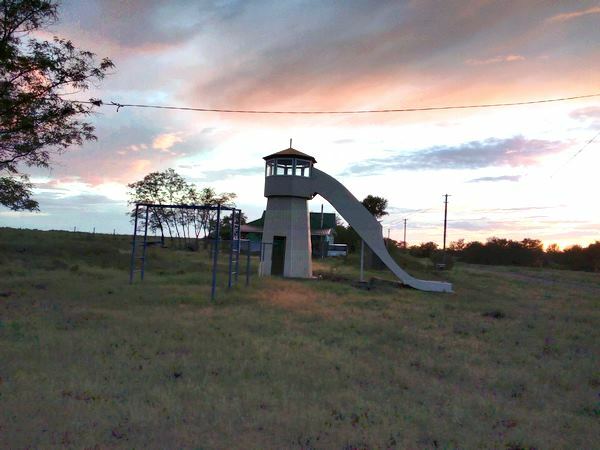 Children now have another piece of play equipment that they can climb and ride, or just sit in the lookout room and talk and dream. I want to say that we have visited an incredible place where the family always stands above all. Here all are united, friendly, and invincible. Here life is rethought and consciousness rises. The daily work of adults who have devoted themselves entirely to children is impressive. Every child feels right and beloved. 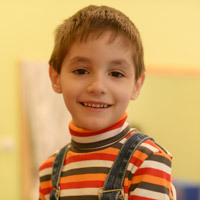 At a time when many dream of moving to a metropolis, these people dream of creating a real "children's village", without deadly temptations and risks, where a respectful attitude towards nature is fostered, ordinary living values are appreciated, and a great friendly Ukrainian family will be built. Albert and Yulia Pavlov and family are always open for conversation and happy for any help. Guests are invited to visit. I advise everyone to visit there in this incredible huge green home where conscience, respect, and love prevail.